Armed Forces Officers Club ... to have new facilities. BIC Contracting (BICC) says one of its subsidiaries has won a contract to refurbish and redevelop the Armed Forces Officers Club and Hotel in Abu Dhabi, UAE. The construction work will start shortly and is expected to be completed within 17 months, says the company. The scope of work includes the refurbishment of the main building’s central hub and east and west wings, as well as the construction of new facilities within the club and hotel grounds. Once completed, the Armed Forces Officers Club and Hotel in Abu Dhabi will have new facilities such as a catering area, banquet hall, sports hub, retail and food and beverage (F&B) village, beach villas, and a beach club with pool. 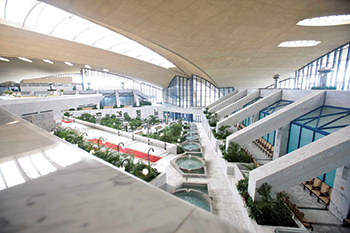 The project extends BICC’s involvement at the site, as the company was the main builder of the original Armed Forces Officers Club and Hotel, including its distinctive curved concrete structure – the largest in the UAE at the time in 1993 – followed by an additional award to construct the east and west wings, which were completed in 1997, it states. BICC Contracting is a leading diversified international contractor in the Middle East. It employs more than 10,000 people and operates in the UAE, Qatar, Saudi Arabia and Oman. The company, which previously operated as HLG Contracting, launched the new name and brand for its operations in May this year, signifying its ongoing strength and commitment in building and infrastructure construction across the Middle East region.